Our video editing system makes it easy to watch and share your newly digitized videos on our website. Not only can you watch the videos but you can rearrange the order of the videos and create chapter pages with titles that will appear on the final DVD. You can also take snapshots of individual video frames giving you a way to create digital pictures you can easily email and share. 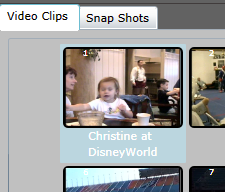 When you first load up the video editor You’ll see a list of your video clips represented by a thumbnail photo. 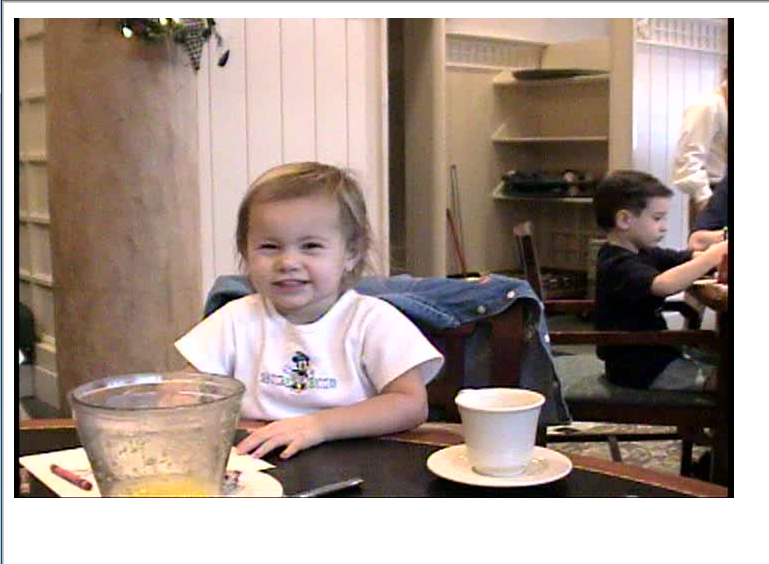 To start, click on one of the video clips. That video will open up in the top portion of the screen. Inside this area is a set of controls to help you navigate individual videos. The Full button will enlarge the video to Full resolution size, doubling the height and width. The play and pause buttons are self explanatory. The next two buttons let you move from frame to frame. This is useful when using the camera button to create snapshots. The scrub bar lets you advance quickly through the video. Simply drag the small rectangle from place to place to go from one point to another in the video. The long bar represents the entire length of the video and the small rectangle represents the current position within the video. 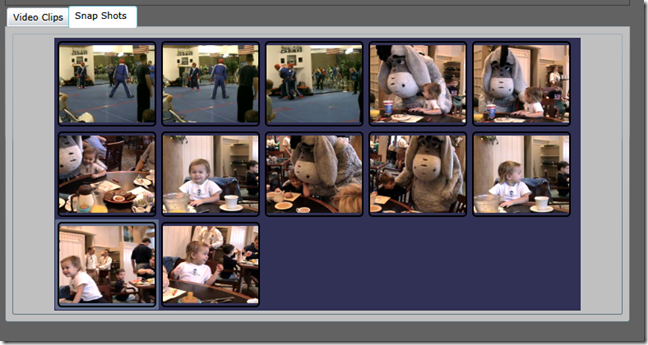 With a video clip selected in the player, type a video title into the edit box under DVD Chapter Title then click the ‘Save Chapter Title’ button. That title will appear under the video clip below. If you have a video clip that you don’t want to appear on the final DVD we create, give it a title of EXCLUDE. It’s important that you type it correctly. That video will be excluded from the DVDs we burn for you. 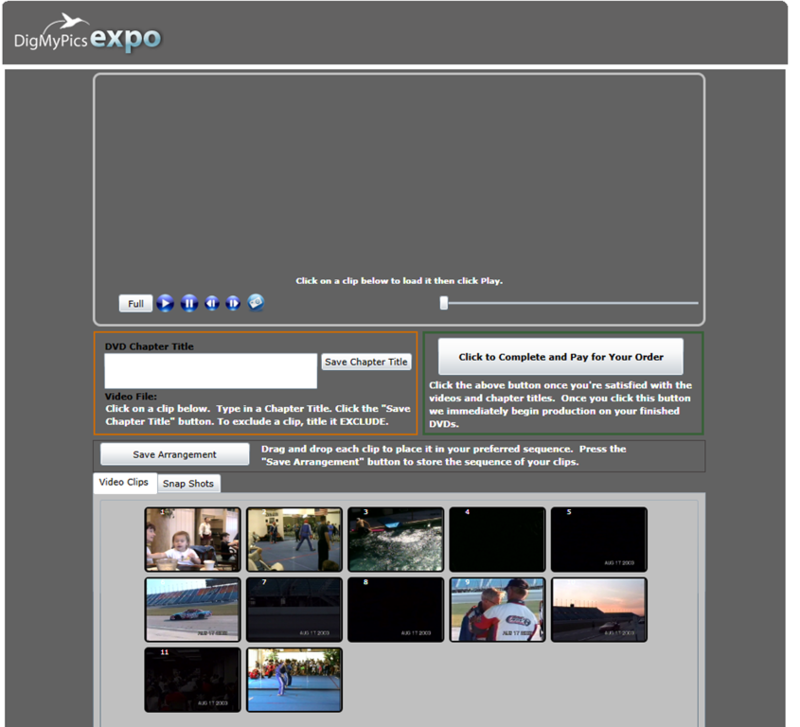 Go through and do this will all of the video clips that you want titled or excluded. You can change the order that the video clips will appear on the final DVDs. Do this by clicking on a clip and dragging it to the place you would like to appear and release the mouse button. Notice the grey line between the second and third clips? That’s the indicator of where the video will be placed. IMPORTANT: After making your arrangement changes, you need to click the button that says ‘Save Arrangement’. The new arrangement isn’t committed until you click that button. This system makes it easy to grab a snapshot of any frame of video by just clicking the camera button on the frame you want. Use the Scrub bar, Play, Pause, Next Frame and Previous Frame buttons to move through the video. Click the camera to capture a snapshot. Each snapshot you take will be put in the Snap Shots section. 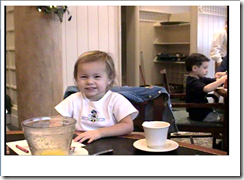 To get to the Snap Shots section click the tab above the video clips titled Snap Shots. It may take a few seconds to capture the snapshot after you click the camera button. NOTE: The technology behind this is pretty complex and involves at least 4 different computers all working together at once to produce the snap shot. In periods of peak demand, it may take longer than just a few seconds but the snapshot will eventually appear. 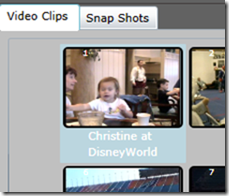 You can refresh the list of snapshots by click back the Video Clips and then back to Snap Shots again. That action causes the snapshots to refresh and reload on your computer. 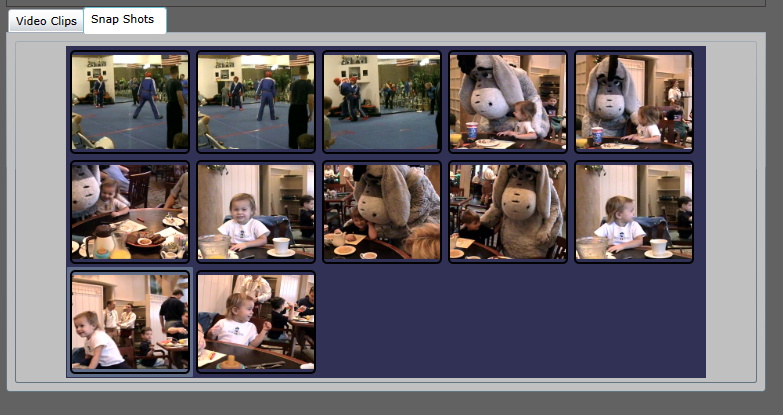 Your final DVDs will have a folder called snapshots which will contain all of the Snapshots you captured. Simply load the DVD into your DVD Drive equipped computer to copy the photos to your hard drive. You can instantly download any of the snapshots you want by just clicking on it. That will cause a new browser window to open up with the full sized resolution of the picture. In Windows, right click the image and select Save Picture As… to put it on your hard drive. On a Mac, right click the image and choose Save Image As… or Add Image to iPhoto Library to put the snapshot on your Mac. Once you’ve finished re-arranging and titling your clips and you’re ready to have us create the DVDs, simply click the button that says ‘Click to Complete and Pay for Your Order’. As soon as you click that button, our servers automatically begin creating your DVD videos. This process is fully automated and begins immediately so please make certain you’ve completed everything you want to do and that all of the spelling and naming is correct.